MIAMI, Dec. 20, 2017 (GLOBE NEWSWIRE) — Five deserving healthcare heroes have been selected for the Regenerative Medicine Foundation (RMF) 2018 Stem Cell and Regenerative Medicine Action Awards. For 13 years, the nonprofit organization has celebrated the stem cell and regenerative medicine community’s top innovators, leaders, and champions. The honorees will be recognized at a gala reception and dinner on January 23rd during the 13th annual World Stem Cell Summit (WSCS) at the Hyatt Regency Miami in Miami, Florida, which takes place from January 22-26, 2018. This year’s Action Award honorees include global leaders in the fight to end cancer as we know it; a world leader in advancing the emerging field of regenerative medicine and game-changing cell therapy medical treatments; the president of a non-profit group focused on developing cures for chronic, debilitating and fatal diseases; a sickle cell and stem cell advocate and founder/science administrator of the Axis Advocacy; and the founding director of the Institute for Integrated Cell-Material Sciences (iCeMS) at Japan’s Kyoto University. All of these distinguished honorees are devoted to improving health and developing cures by accelerating stem cell and regenerative medicine. Advocacy Award: Vice President Joe Biden and Dr. Jill Biden. Vice President Joe Biden and Dr. Jill Biden have demonstrated their leadership in and commitment to improving cancer research and care by injecting a sense of urgency and reimagining how the government, academia, non-profits, and the private sector can better organize their resources and systems. Vice President Biden’s leadership of the national “Cancer Moonshot” effort dramatically advanced efforts to prevent, diagnose, and treat cancer. The Cancer Moonshot launched a series of coordinated efforts that incentivized bold, creative, and disruptive approaches to conducting cancer research, promoting prevention, and addressing critical needs in cancer care. In addition to driving this progress in both the public and private sectors, Vice President Biden also helped lead the effort to pass the 21st Century Cures Act that provides $1.8 billion over seven years for the Cancer Moonshot’s scientific priorities. Building on the progress made under the Cancer Moonshot, Vice President and Dr. Biden launched the Biden Cancer Initiative in the Summer of 2017. The Biden Cancer Initiative is dedicated to developing and driving the implementation of solutions to accelerate progress in cancer prevention, detection, diagnosis, research, and care, and to reducing disparities in cancer outcomes. Leadership Award: Ed Bosarge – Dr. W. E. “Ed” Bosarge is an acknowledged world leader in the emerging field of regenerative medicine. His passionate commitment to advancing biotechnology innovations has resulted in game-changing treatments for orthopedic conditions, cardiovascular diseases, neurological disorders, cancer, diabetes and other chronic conditions. 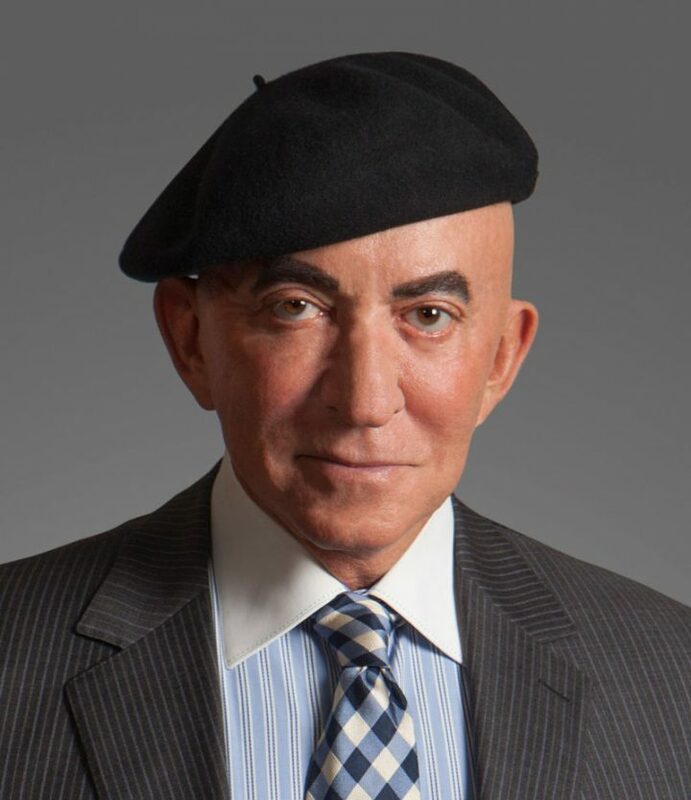 As Chairman and Founder of Black Beret Life Sciences, Dr. Bosarge maintains an international focus on accelerating the development and clinical introduction of cutting edge regenerative medical, adult stem cell and immunotherapy treatments. In an effort to bring scientific discovery and medical innovation back to the forefront of clinical practice in the US, Dr. Bosarge recently spearheaded a federal legislative initiative supporting the FDA’s leadership to advance approval of safe and effective cell-based therapies which would allow Americans with debilitating or life-threatening diseases expedited access to new potentially life-changing or life-saving treatments. Advocacy Award: Shelley Ross and the Cure Alliance – Shelley Ross is President of The Cure Alliance, a non-profit group of top scientists, researchers, medical doctors and innovators, plus those who support their efforts to end suffering by developing cures for chronic, debilitating and fatal diseases. Their #1 goal is to help accelerate the movement of potential cures from the laboratory to the bedside. To that effort, they raise public awareness and make noise when necessary. In her position at The Cure Alliance, Ms. Ross calls on her experience as a three-time Emmy Award-winning executive producer who changed the landscape of morning, primetime and late-night television. She is best known for her 17 years at ABC News where she won three news and documentary Emmy awards, a Peabody award, and other honors. CBS has recently announced the development of a dramatic series based on her early years as a journalist. A natural story-teller, she presented the FDA with her dramatic first-person narrative of healing through regenerative medicine after conventional medicine had failed. Then she implored them not to unnecessarily restrict treatments for others. She also contributes to CellR4, the official journal of The Cure Alliance with Dr. Camillo Ricordi of the Cell Transplant Center and Diabetes Research Institute, University of Miami, editor-in-chief and founder. Inspiration Award: Adrienne Bell-Cors Shapiro — A Sickle Cell Disease and stem cell Patient Advocate, the Founder and Science Administrator of the Axis Advocacy Sickle Cell Disease website, Ms. Shapiro is the fourth generation of mothers in her family to have a child born with Sickle Cell Disease. She was one of the first supporters of the work done by UCLA’S Dr. Don Kohn in bone marrow and later stem cell transplants. As a firm believer that stem cell science will cure Sickle Cell Disease, she has dedicated a large portion of her life to improving the lives and overall healthcare of those living with the disease. In the past three years Ms. Shapiro has found her voice as a stem cell activist, speaking at multiple forums in support of the funding for clinical trials through the California Institute for Regenerative Medicine(CIRM) and her role as an ambassador for the Americans for Cures Foundation. Her experience includes attending educational conferences and seminars, as well as meeting with lawmakers to promote support for the Sickle Cell Education Act. International Leadership: Norio Nakatsuji – Professor Nakatsuji is the Founding Director of the Institute for Integrated Cell-Material Sciences (iCeMS) at Kyoto University in Japan, an institute which advances cross-disciplinary research and technological innovation based on cell biology, chemistry and physics. He is focused at making the best use of human pluripotent stem cells, including ES and iPS cells, for drug discovery and cell therapy by multidisciplinary R&D. He is part of the pioneering groups which established human ES cell lines and distributed them to other scientists free of charge. He is also a scientific founder of a start-up company, ReproCELL, Inc., which accomplished a successful IPO in 2013. Moreover, he has been taking leadership of several Japanese government-supported stem cell R&D collaboration projects between industry and academia. Professor Nakatsuji has been at the forefront of cutting edge work done in Japan, which is a great global collaborative hub for stem cell research and regenerative medicine whose regenerative market is growing exponentially. Japanese companies are investing in advanced therapies around the globe. He is a valued advocate and philanthropist and recently founded and funded, the Nakatsuji Foresight Foundation dedicated to support the next generation students and scientists by advancing programs relating to education, science and technology. The 13th World Stem Cell Summit has garnered international attention. Brought to you by RMF, this original, translation-focused, international and partnering conference is expecting 1,000 attendees from over 30 countries in the world, more than 210 participating organizations, and 100+ speakers. This year the WSCS will be co-located with the industry’s premier partnering event; Phacilitate World Leaders Forum, incorporating Cell & Gene Therapy World, Immuno-Oncology Frontiers World, and our shared Cord Blood & Perinatal Stem Cells track. Co-organizers are the Regenerative Medicine Foundation, Karolinska Institute, Maryland Stem Cell Research Fund/TEDCO, Mayo Clinic, The New York Stem Cell Foundation, Nova Southeastern University and NSU Cell Therapy Institute, The Cure Alliance, Interdisciplinary Stem Cell Institute at the University of Miami Miller School of Medicine, University of Florida Center for Regenerative Medicine, Wake Forest Institute for Regenerative Medicine, and Weill Cornell Medicine. Together, this will be the world’s largest interdisciplinary event dedicated to Advanced Therapies and Regenerative Medicine, the one meeting on the global calendar attended by all of the critical decision-makers from both inside and outside of the ﬁeld. To register or for a complete detailed timeline and agenda, please visit: http://worldstemcellsummit.com/. If you are interested in a customized sponsorship or an exhibit, please contact us today at 1-888-238-1423 or email Bernard@worldstemcellsummit.com.